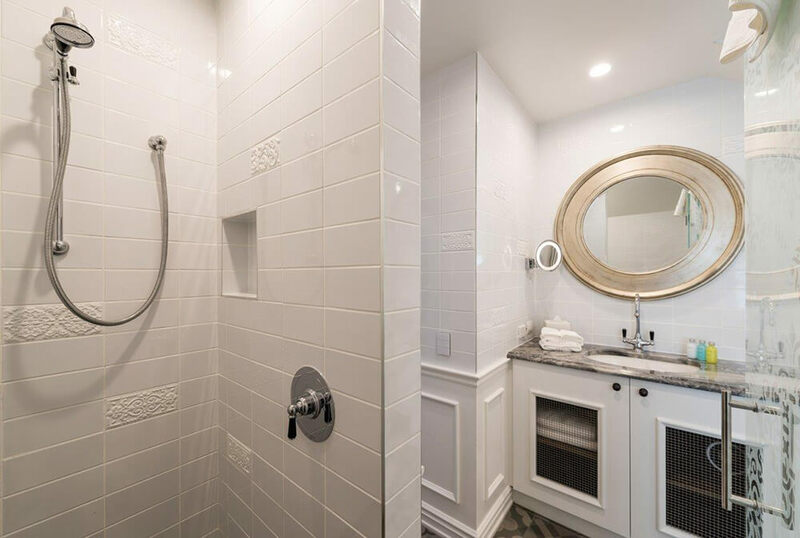 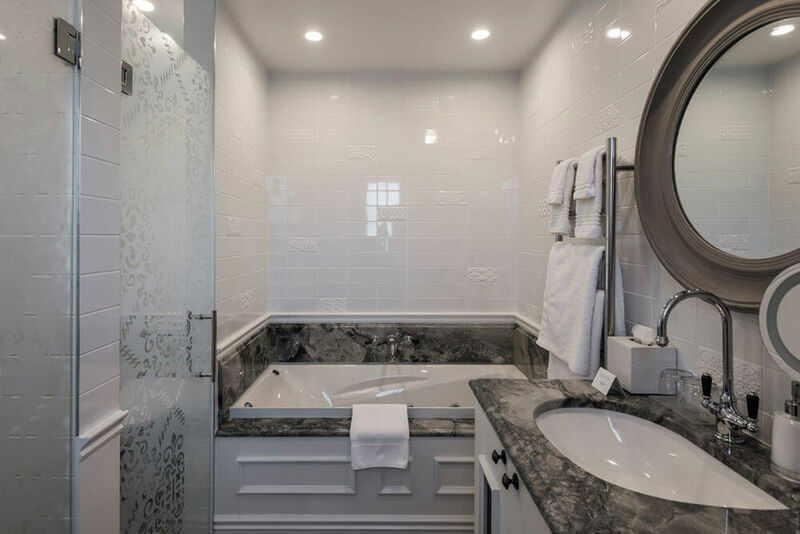 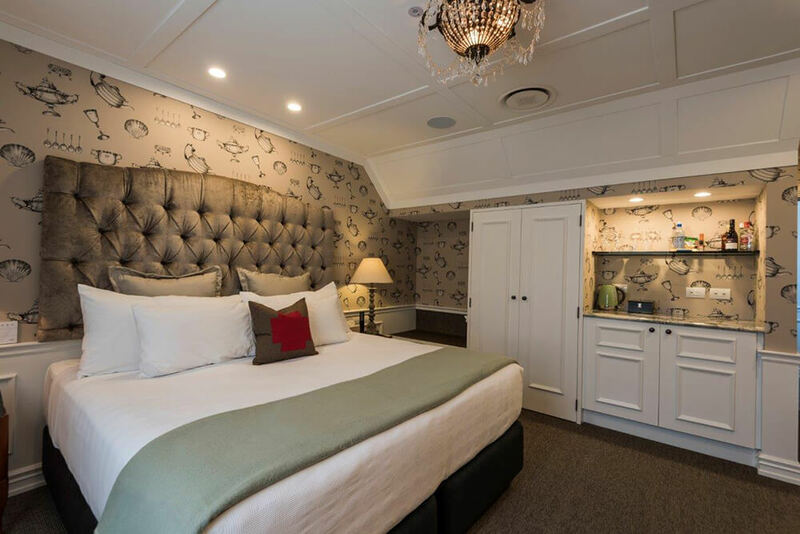 Come, relax and stay awhile at The George and experience the ultimate in luxury, 5-star style and comfort. 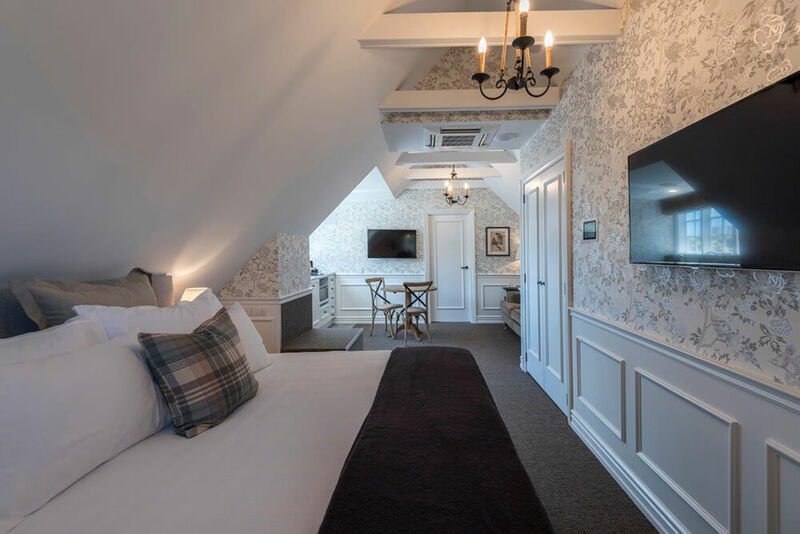 The George, delightfully yours. 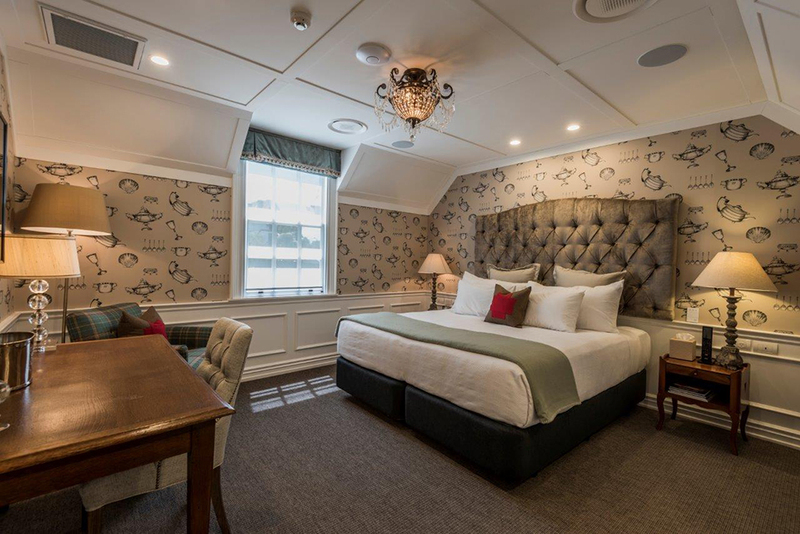 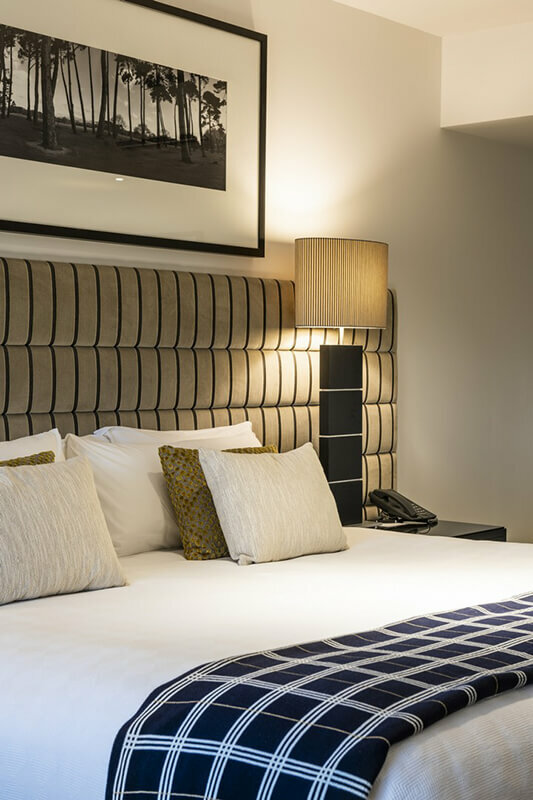 The George, a luxury boutique hotel, is the essence of supreme comfort and is renowned for offering a personalised stay and attentive staff. 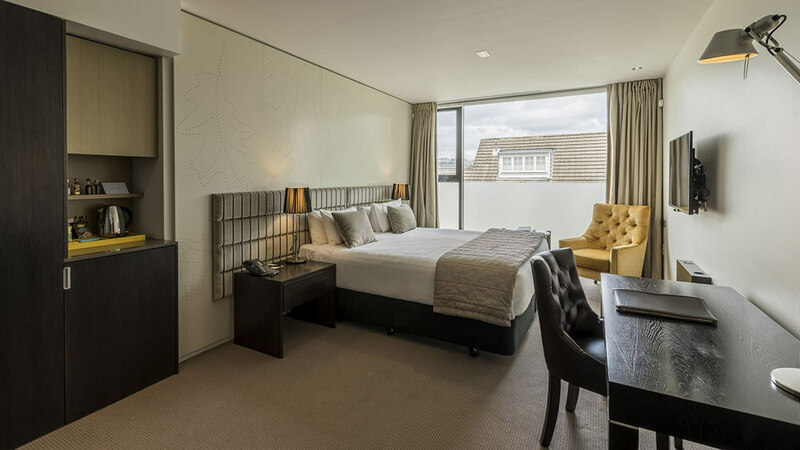 Ideally located in the heart of Christchurch overlooking the picturesque Hagley Park and river Avon. 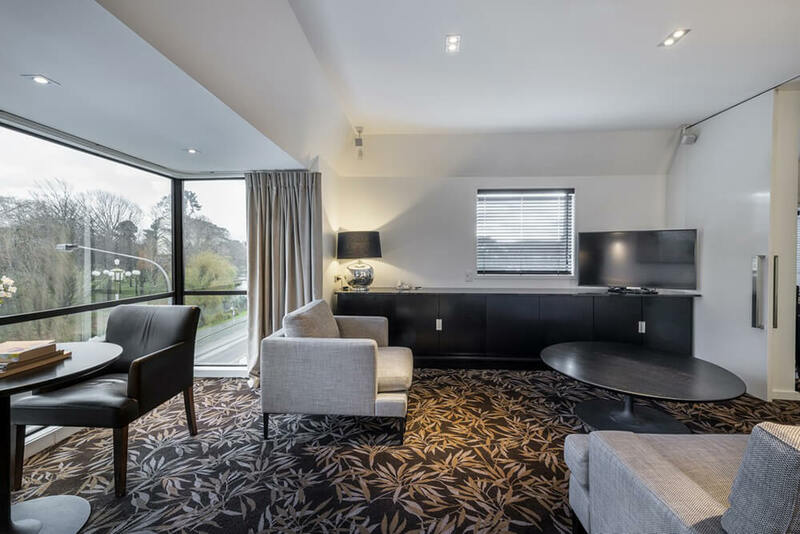 Perfect for those seeking luxury accommodation in Christchurch just steps from the cultural precinct and key attractions. 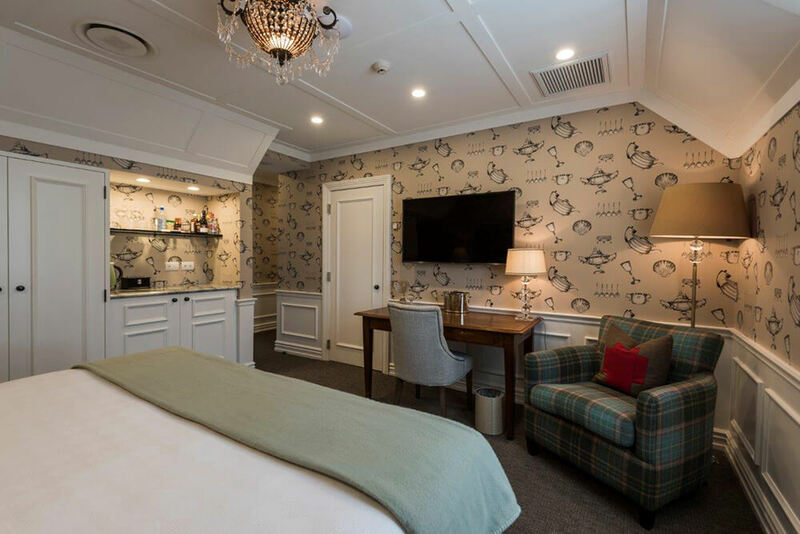 The George offers complimentary car parking for guests, electric vehicle charging stations, a Tesla charging station, free Wi-Fi. 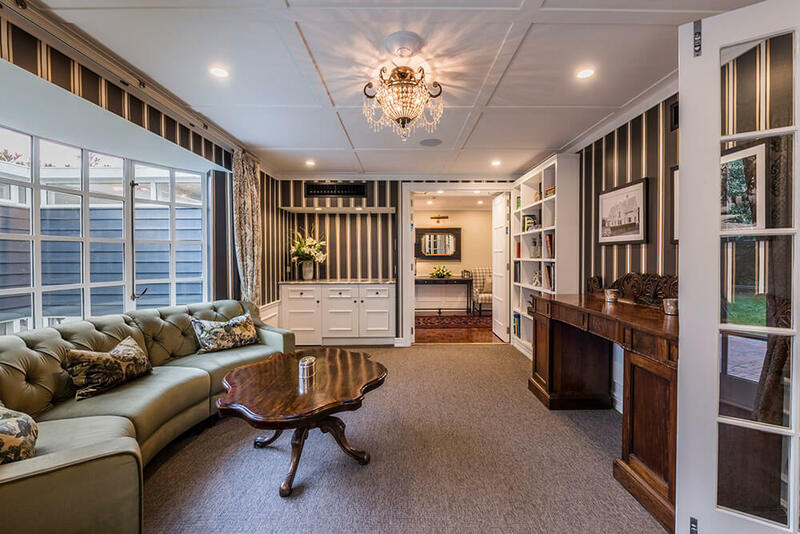 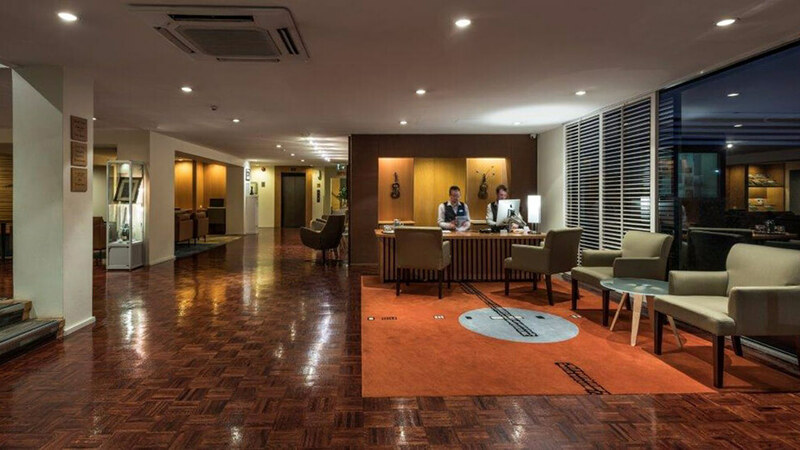 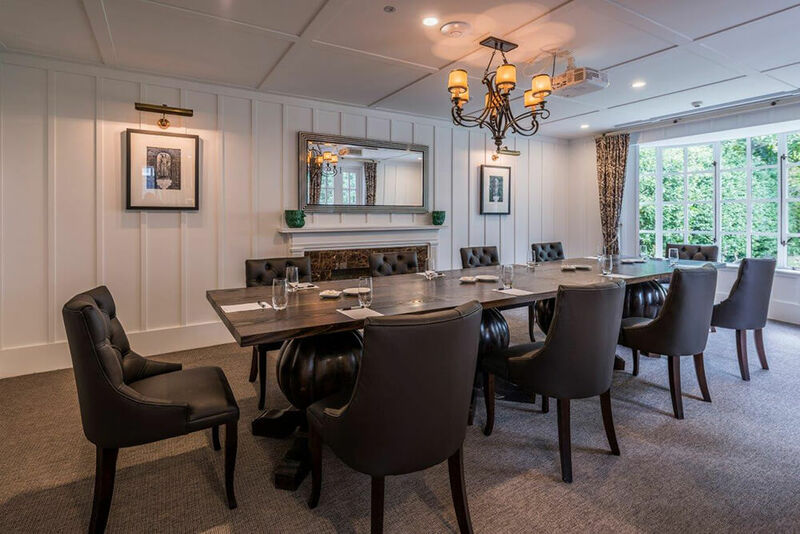 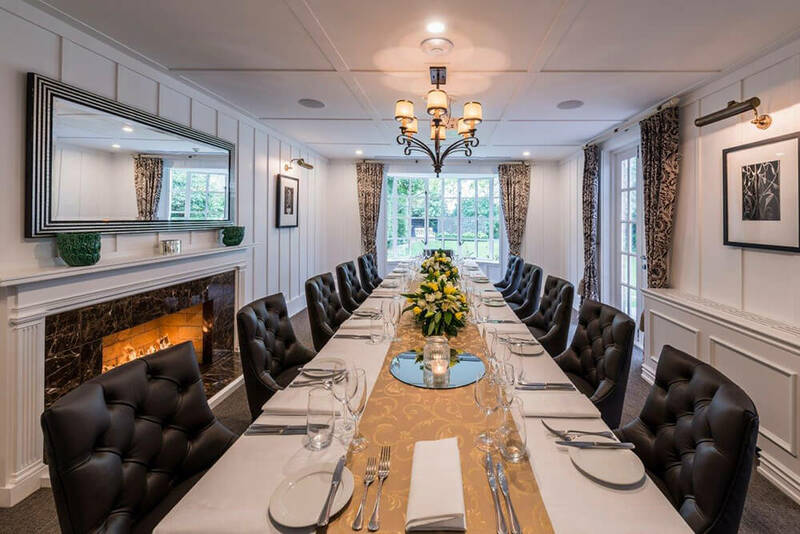 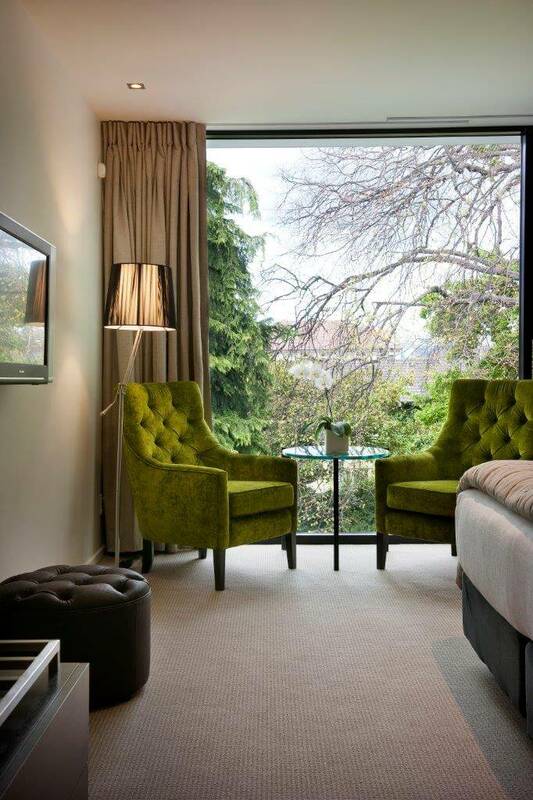 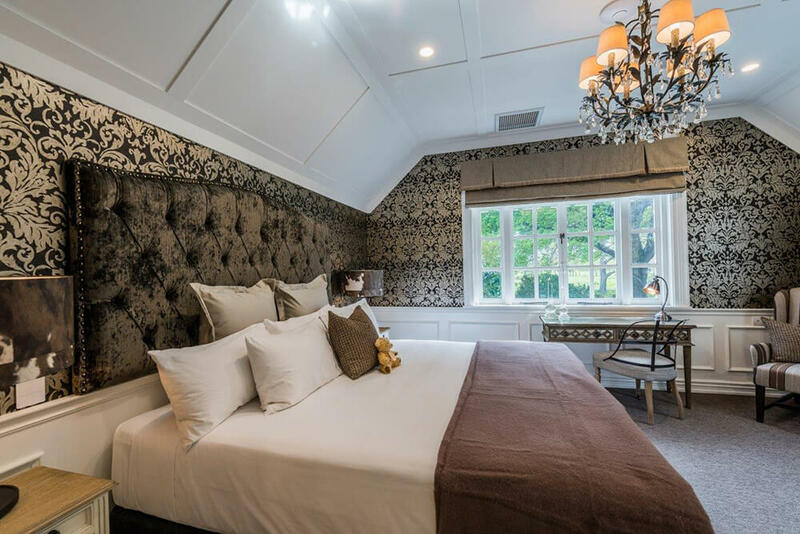 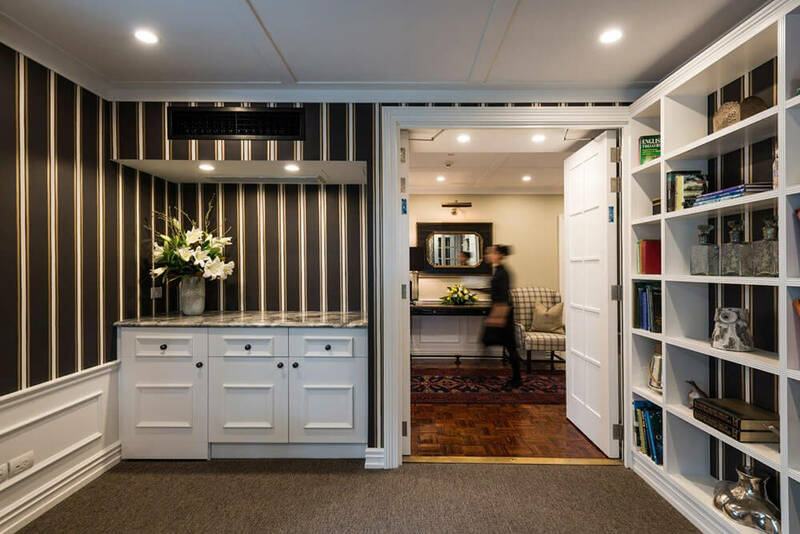 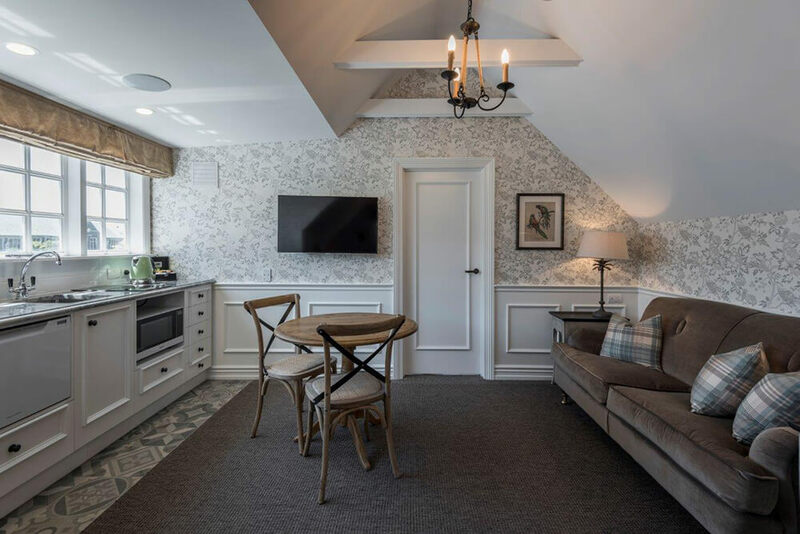 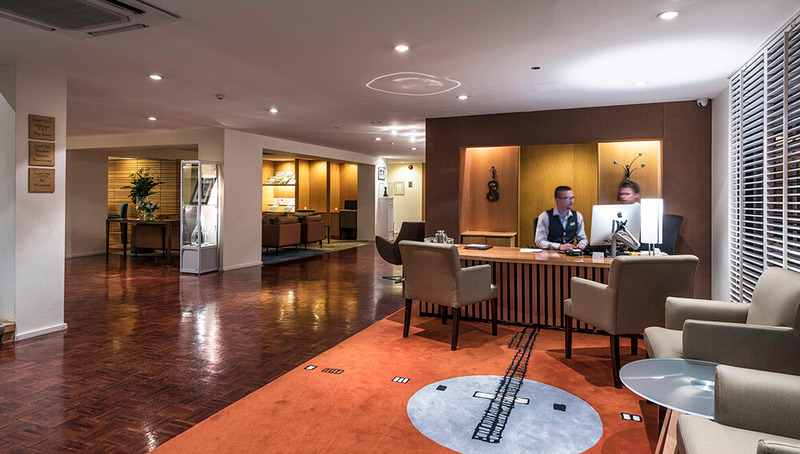 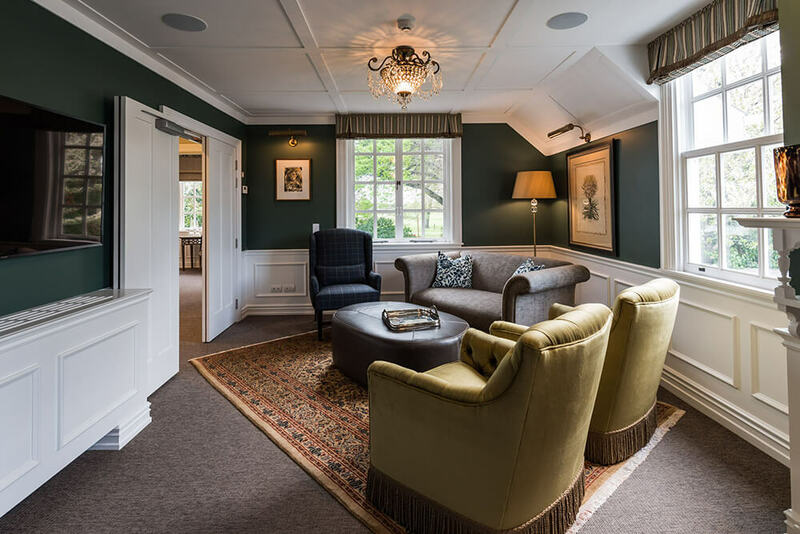 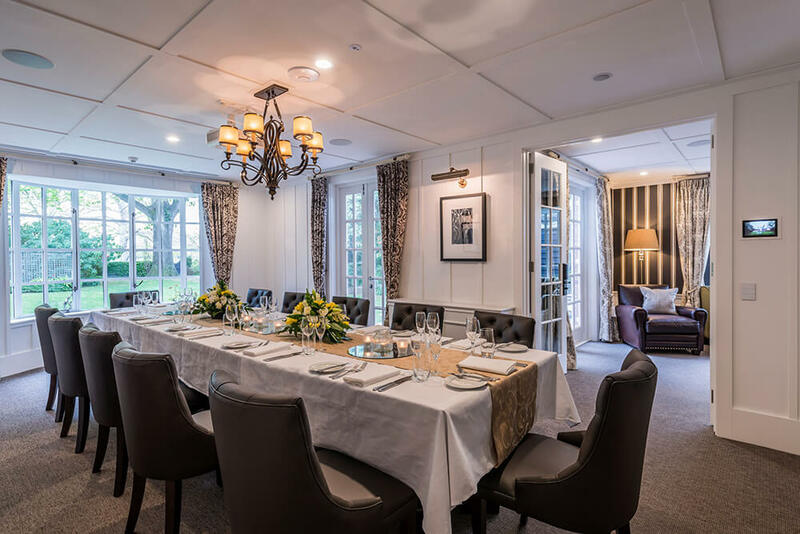 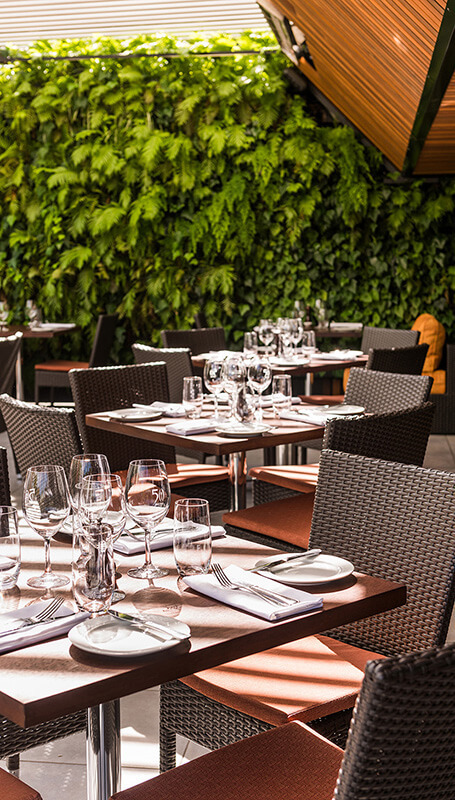 Impeccable service in an intimate ambience is guaranteed at The George, the only luxury boutique hotel in Christchurch with a one-to-one staff to guest ratio. 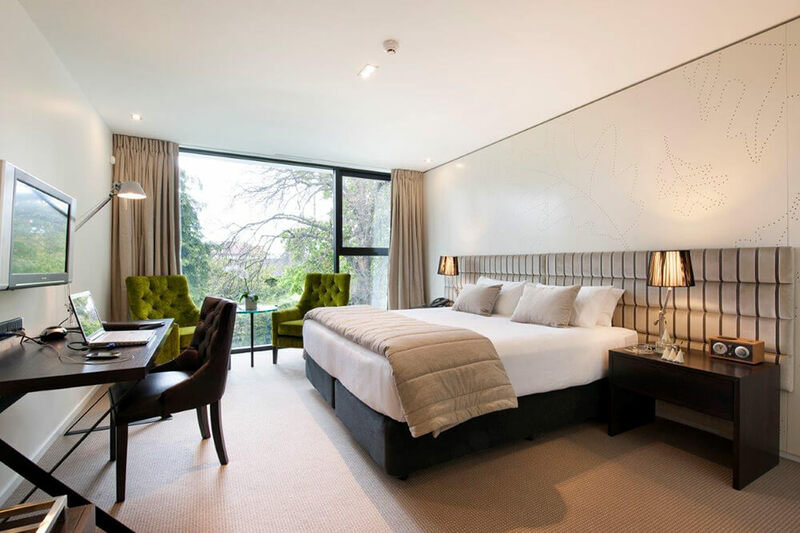 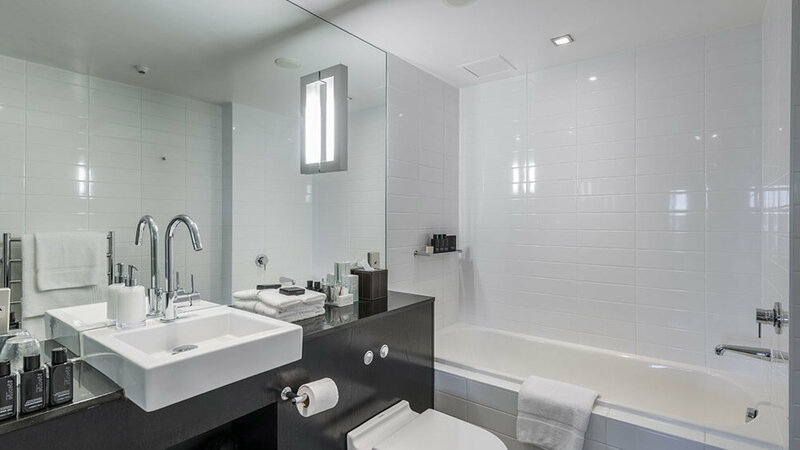 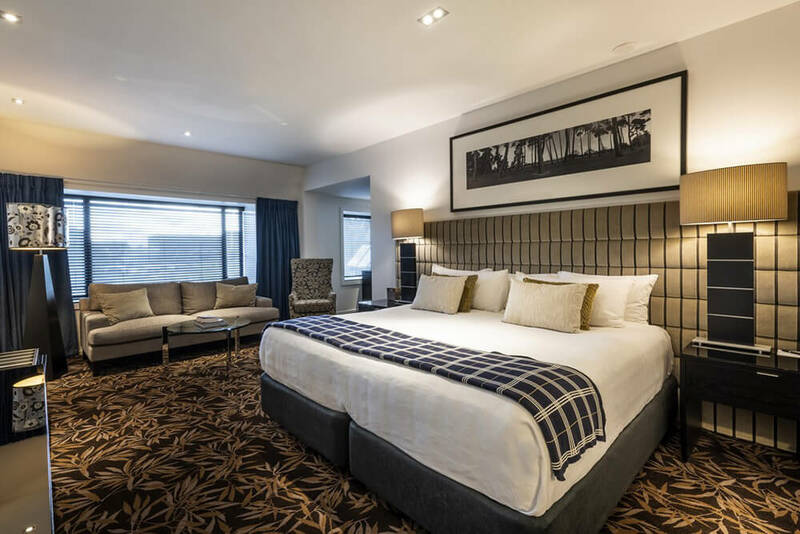 Contemporary and elegant your Executive Room at The George provides everything for a memorable visit. 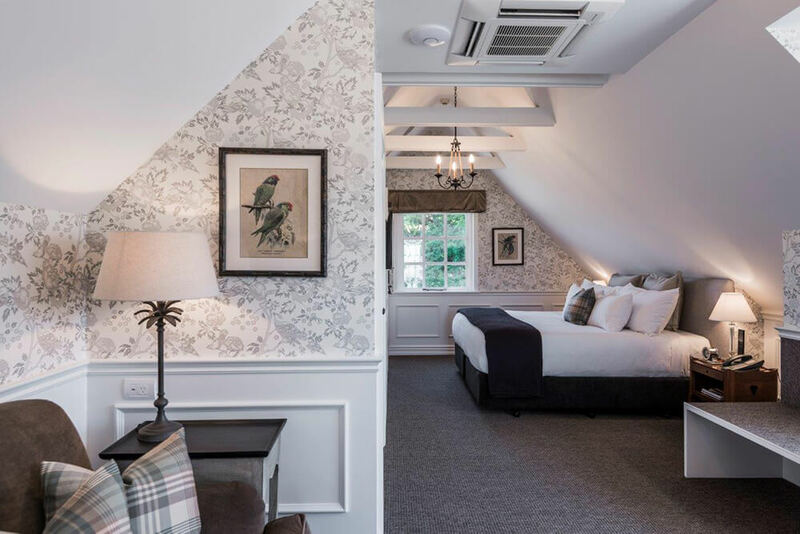 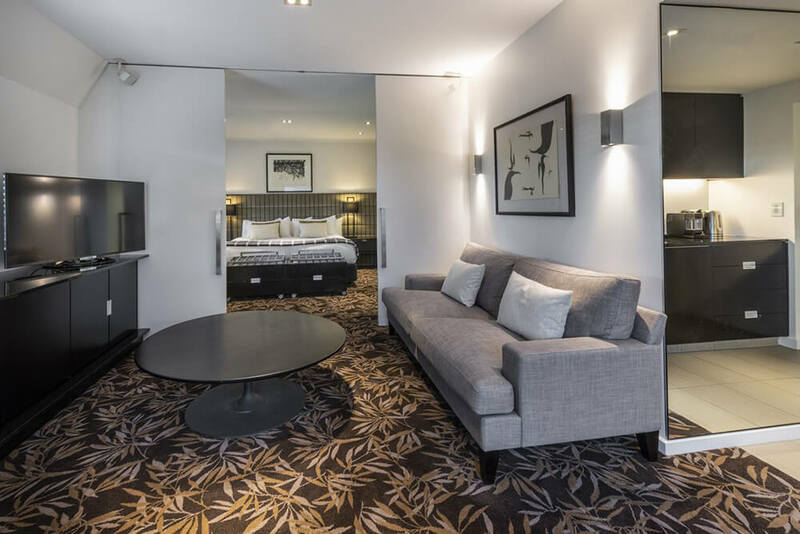 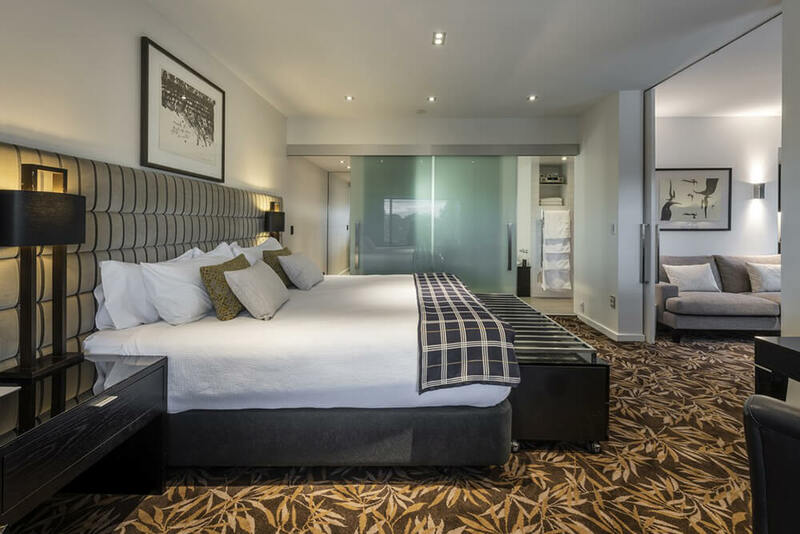 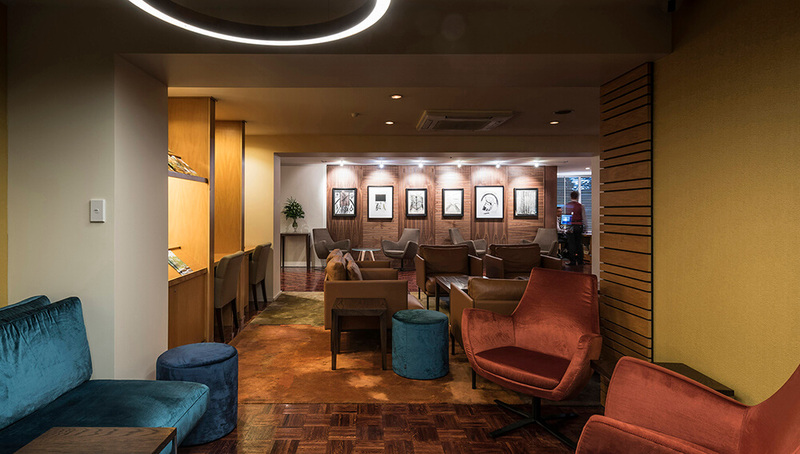 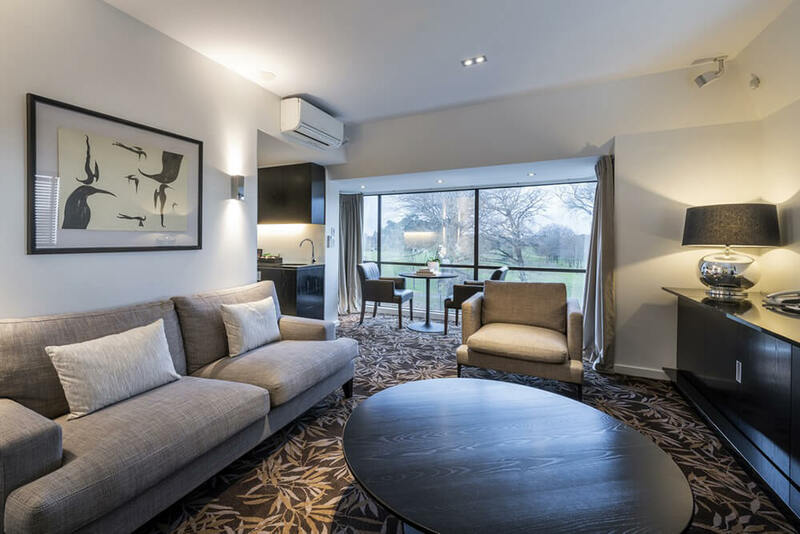 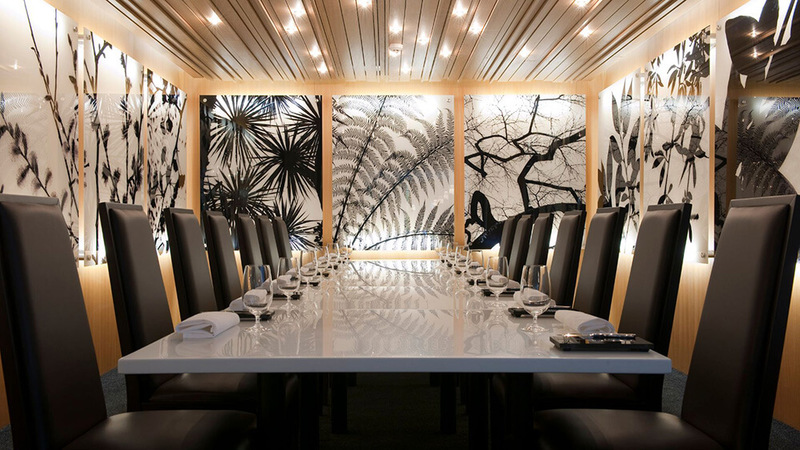 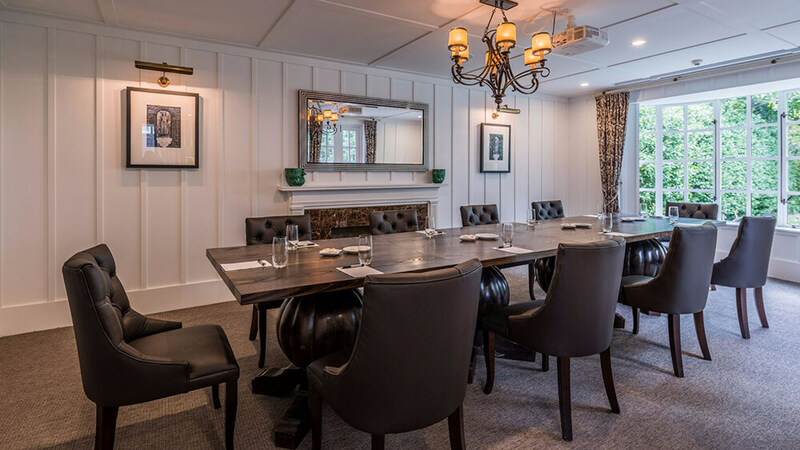 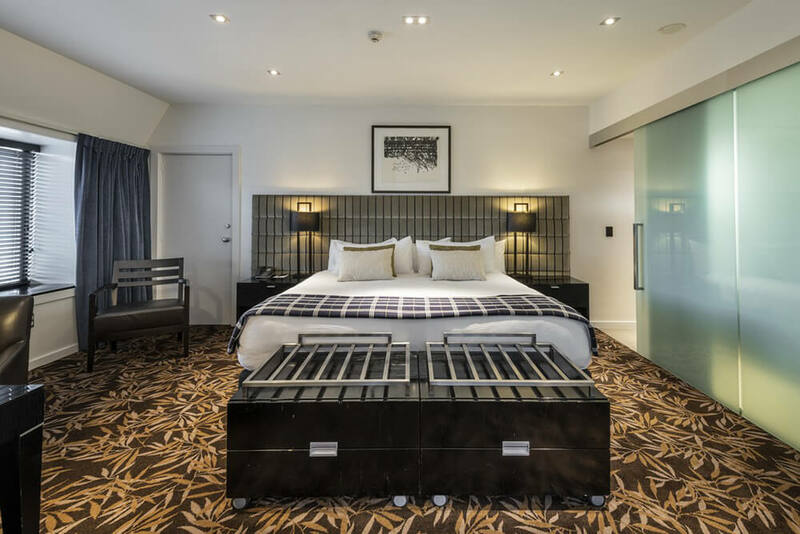 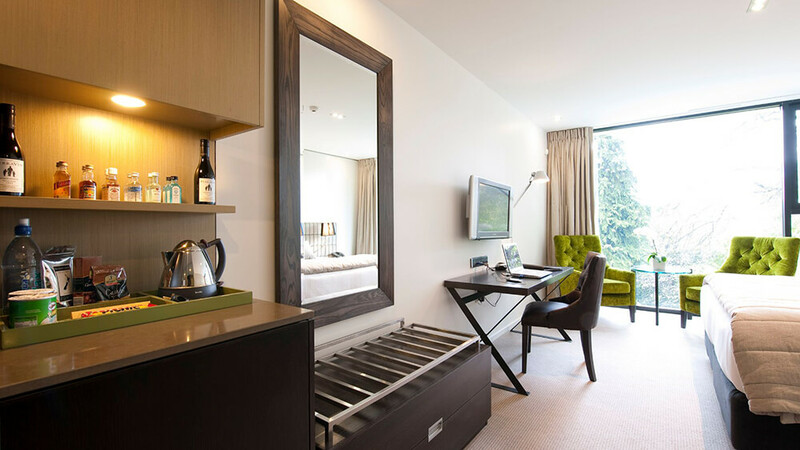 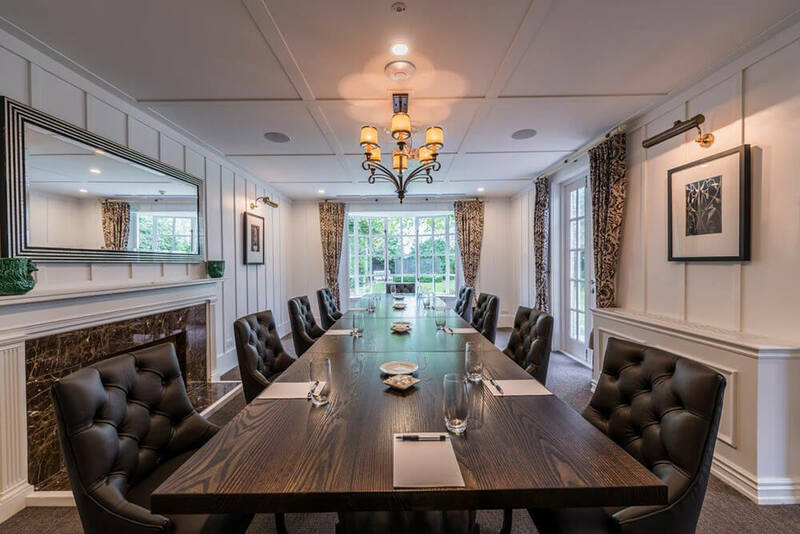 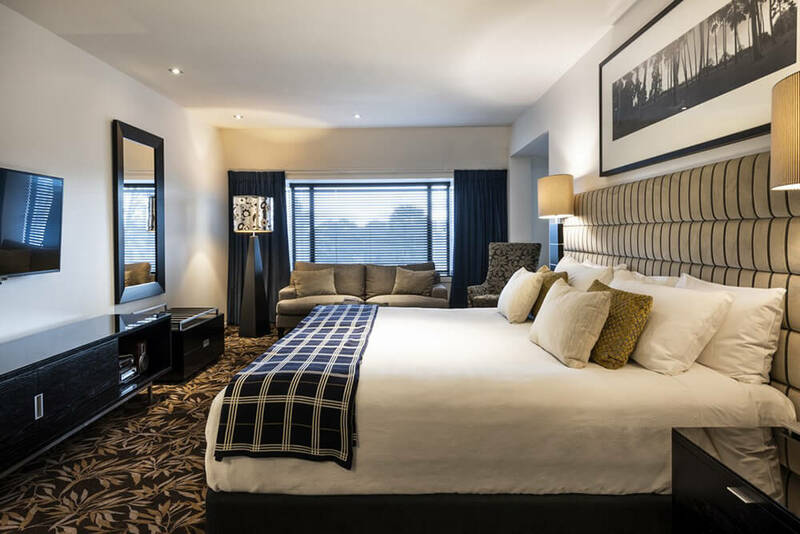 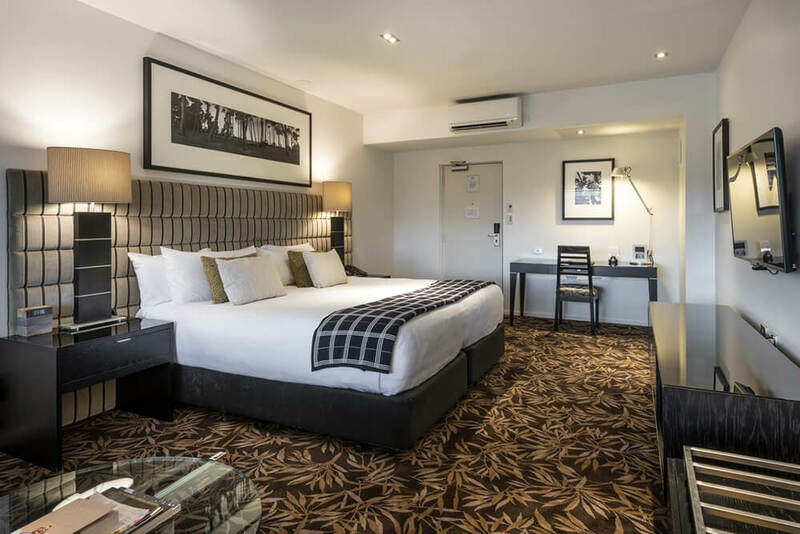 Deliciously contemporary featuring stunning commissioned photographic artwork or feature walls with oak leaf detailing these rooms offer peaceful spacious surroundings for both the business and leisure traveller. 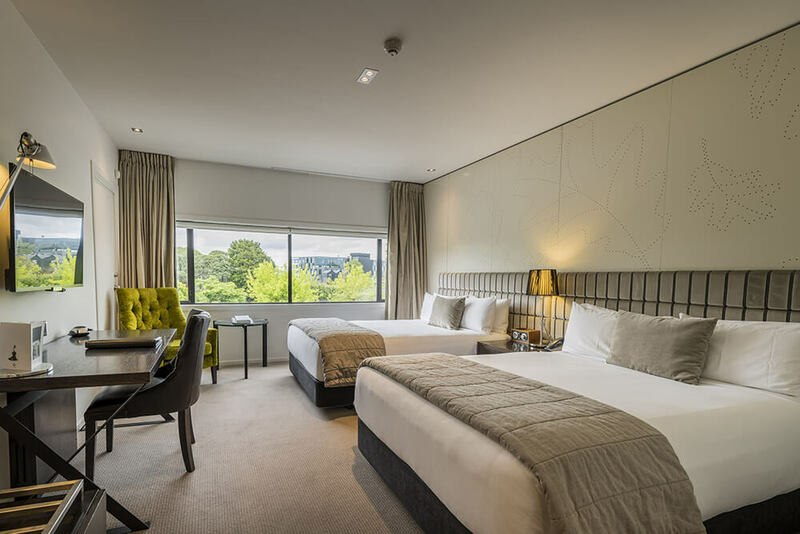 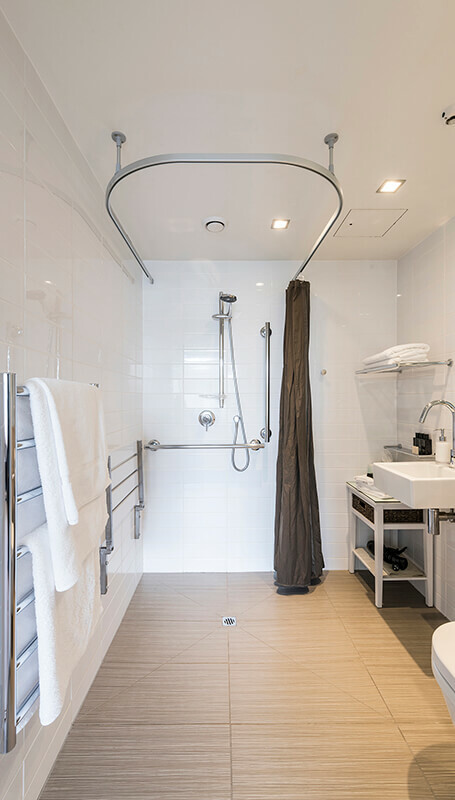 Deliciously contemporary these rooms offer peaceful spacious surroundings for both business and leisure travellers. 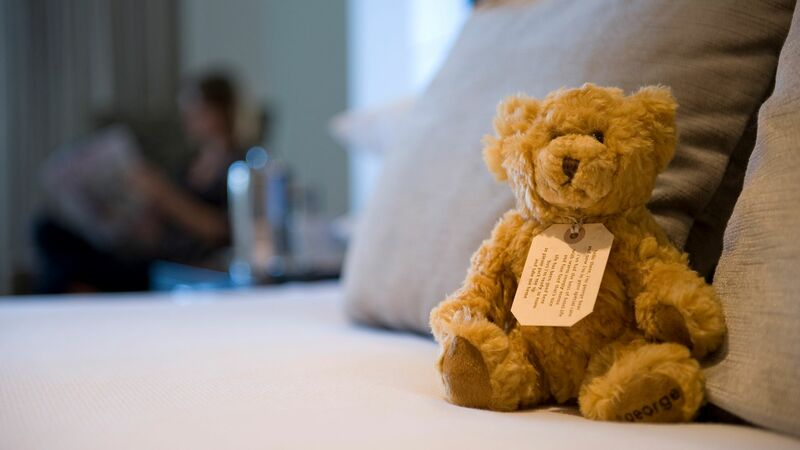 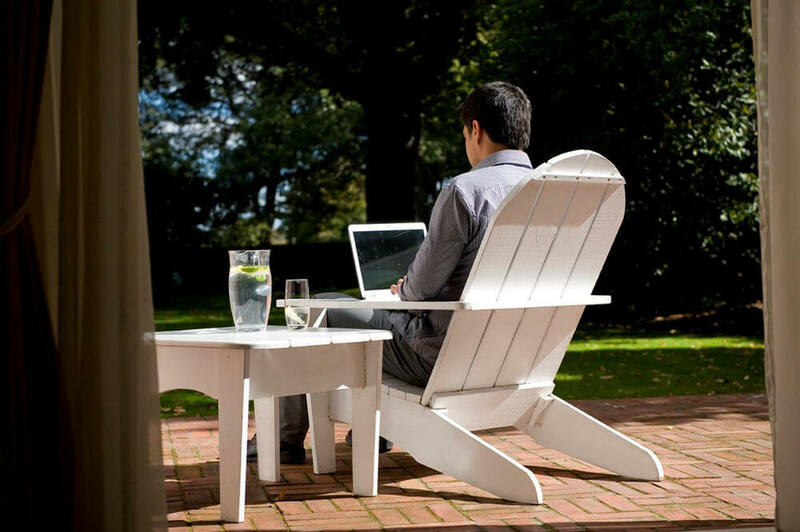 Be whisked away to a world of tranquil serenity. 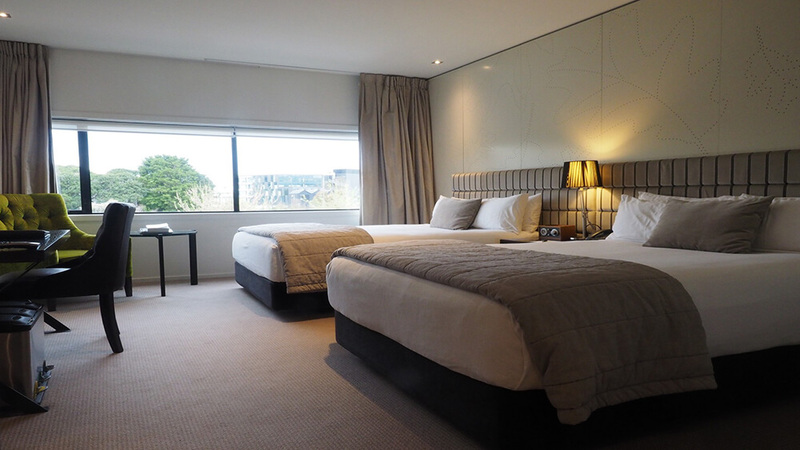 Situated on the 5th floor these suites just whisper relaxation. 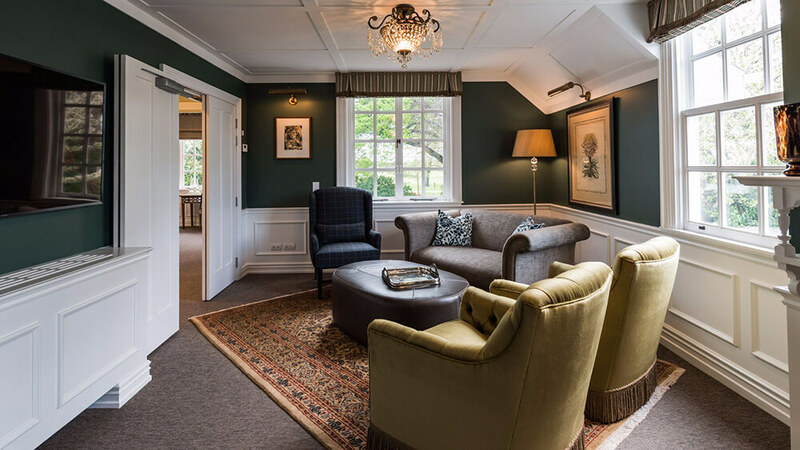 As you step through the door the muted neutral décor will whisk you away into a world of tranquil serenity. 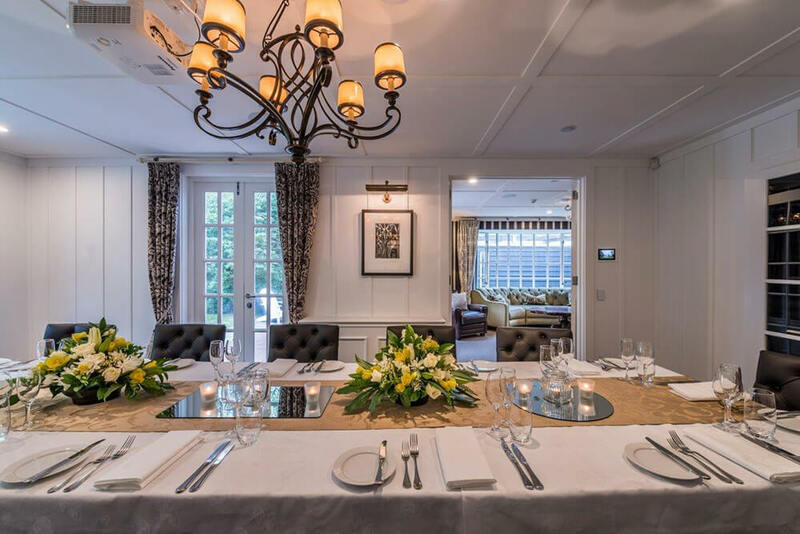 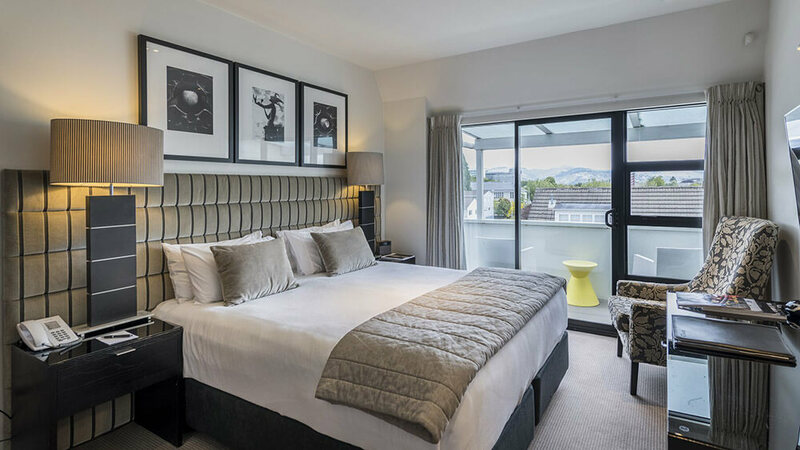 Your Park Suite at The George typifies luxury at every level, and showcases the spectacluar location on the park. 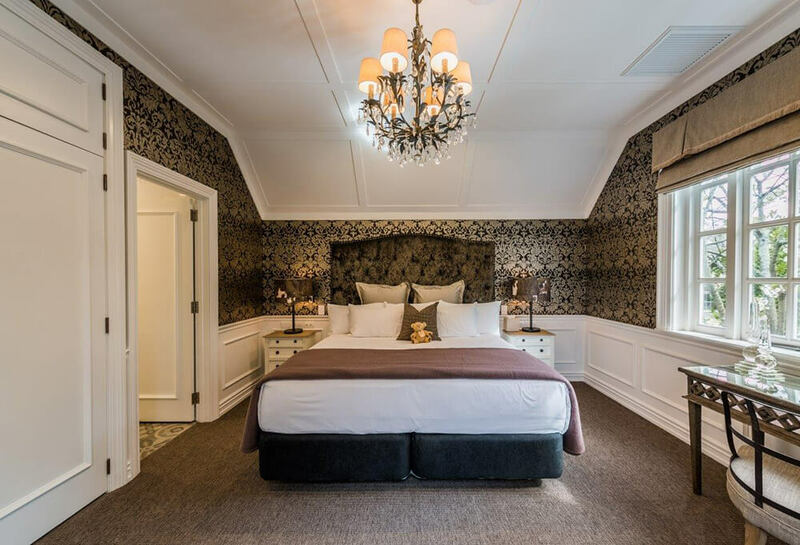 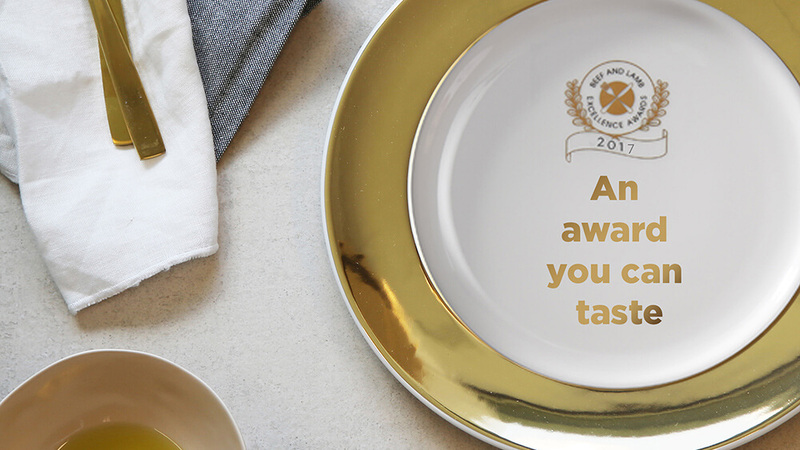 We are delighted to announce that The Residence has again been awarded Australasia’s Leading Luxury Hotel Villa 2018 in the 24th annual World Travel Awards.